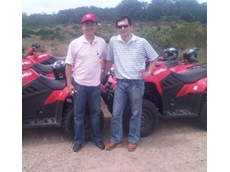 Kymco’s UXV 500 4x4 Quad Bikes with great suspension and hard working design. 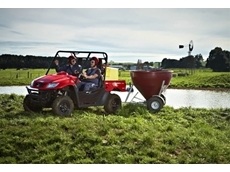 Powerful all terrain Quad Bikes for heavy duty applications with selectable 2WD or 4WD from Kymco. 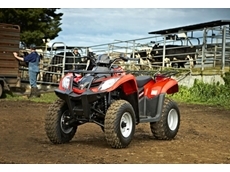 Economical MXU 300 all terrain Quad Bikes for reliable, trouble free operation from Kymco. 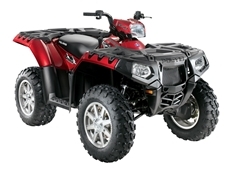 ARGO ATV offers a full range of ARGO ATV models through an Australia wide network of dealers. 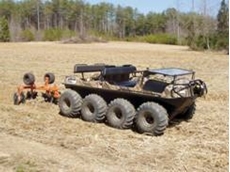 ARGO ATVs are sold worldwide with proven capabilities as a reliable off road vehicle in remote regions. 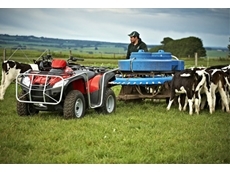 Hartex Engineering provide engineering and maintenance solutions for work vehicles. Building and installing vehicle workshop facilities for over 20 years. Kymco has a range of quality Scooters, Motorcycles and ATVs. Uptons Motors imports and distributes the TATA range of vehicles and spare parts. 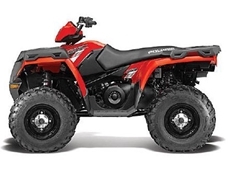 BRP Australia are committed to supplying innovative and quality recreational vehicles including watercraft and sports boats, snowmobiles, karts and engines, ATVs, roadsters and outboard engines. 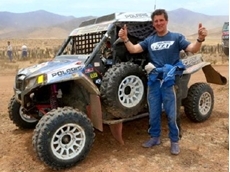 14/02/14 - Polaris won the side x side (SXS) title at the 2014 Dakar Rally for the third year running. 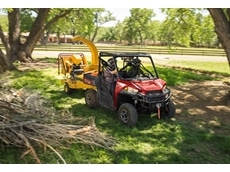 16/07/13 - World-leading manufacturer of off-road vehicles, Polaris has announced a range of permanent price reductions across the entire Ranger line-up to deliver even greater value for customers. 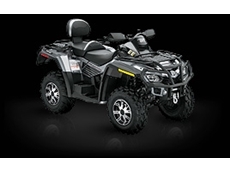 12/07/13 - World-leading manufacturer of off-road vehicles, Polaris is introducing a range of special retail offers for buyers. 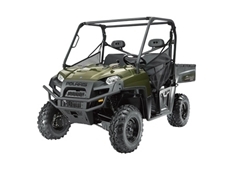 06/06/13 - Polaris presents a heavy duty version of its best-selling automatic ATV, the Sportsman 500 H.O. 01/03/11 - Kymco Management from Taiwan headquarters travelled around Australia to explore future developments of the Kymco range, including motorcycles, scooters and ATVs. 29/06/10 - In mid 2010, stunt team Nitro Circus brought their live stunt show to Australia, and the Kymco UXV 500 4 x 4 side by side was the mount of choice for their crazy antics. 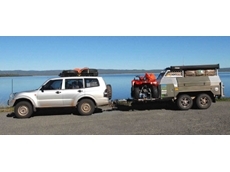 22/06/10 - Rick Huckstepp, freelance photo journalist for the On the Road Magazine, is chasing adventures around Australia trusting a KYMCO MXU 400 ATV for the roughest off-road travel. 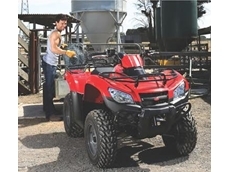 19/03/10 - The Kymco MXU 400 is an ATV specifically designed for the needs of Australian farmers, which not only oozes quality, but is also an extremely practical tool for handling any tough work situation. 06/11/09 - Argo ATV boast machines that allow owners and operators to do more on the farm or property, while working less.